JOIN US! 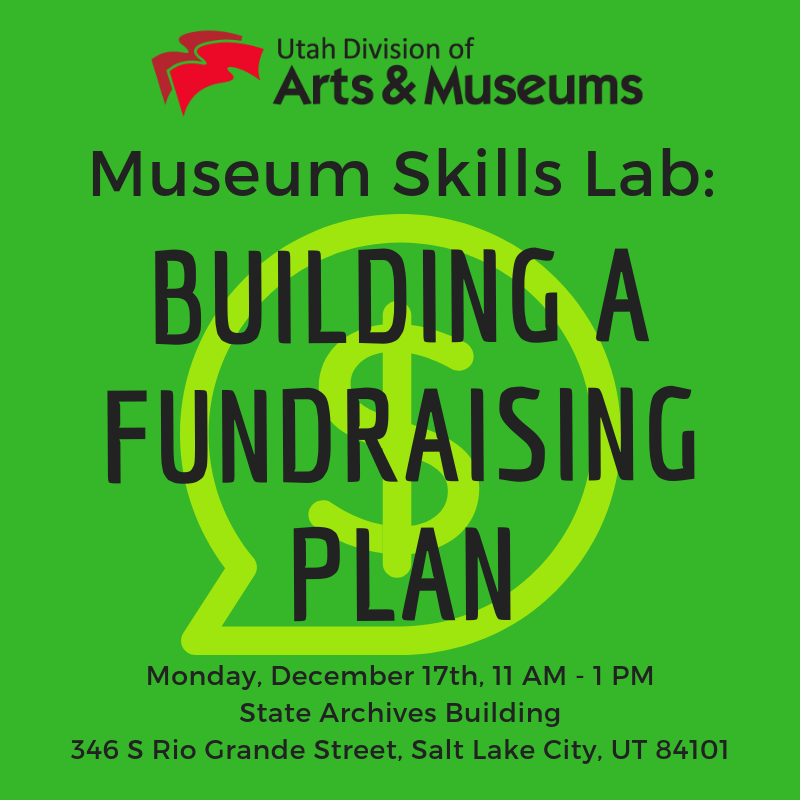 for our upcoming Museum Skills Lab, all about how to write a fundraising plan for your museum. The workshop will be held from 11 am - 1 pm on Monday, December 17, 2018 in the State Archives Building (346 S Rio Grande Street, Salt Lake City, UT 84101). The workshop is free, but registration is required.